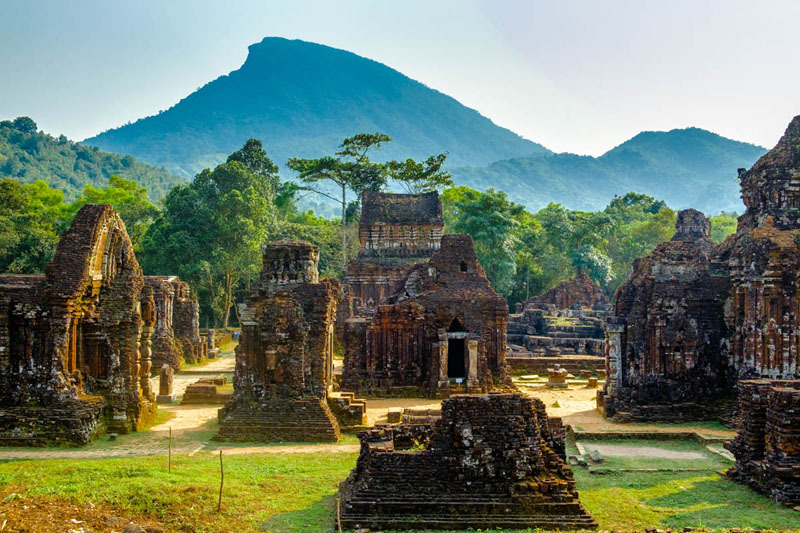 Due to its close proximity to famous tourist attractions like Hoi An, Da Nang and Hue, travelers who enter this area of Central Vietnam should not forget to visit Cham island. Traditional conical boats sit on the shore awaiting the Cham Islands fishermen. Cham island is a cluster of eight islands off the Hoi An coast, belonging to Tan Hiep Commune, Hoi An city, Quang Nam Province. From Cua Dai Beach of Hoi An, you need to travel by boat for about 18 kilometers to reach the clusters of Cham island. The Vietnamese residents call this cluster Cu Lao Cham. Cu Lao means an island built up by the deposits of soil and rocks from the river or the sea flows. People have inhabited Cham island for about 2,500 years. On Cham island, there are many artifacts proving the existence of the Cham civilization and the Vietnamese people in the past. You can easily encounter buildings that are hundreds of years old. Cham island possesses a large biodiverse area with many flora, fauna, and a rich marine ecology. In 2009, Cham Island Biosphere Reserve was recognized by UNESCO. The view from Hon Lao, the largest of the Cham Islands. Cham island is recognized as the second marine park of Vietnam and is the incorporation between the Vietnamese Government and Danish Government (the first is in Nha Trang city, Khanh Hoa Province). The Cham Island Marine Park consists of eight islands and 5,175 hectares of water surface with 165 hectares of coral reef, and 500 hectares of seaweed and seagrass beds, in which hundreds of sea creatures reside. 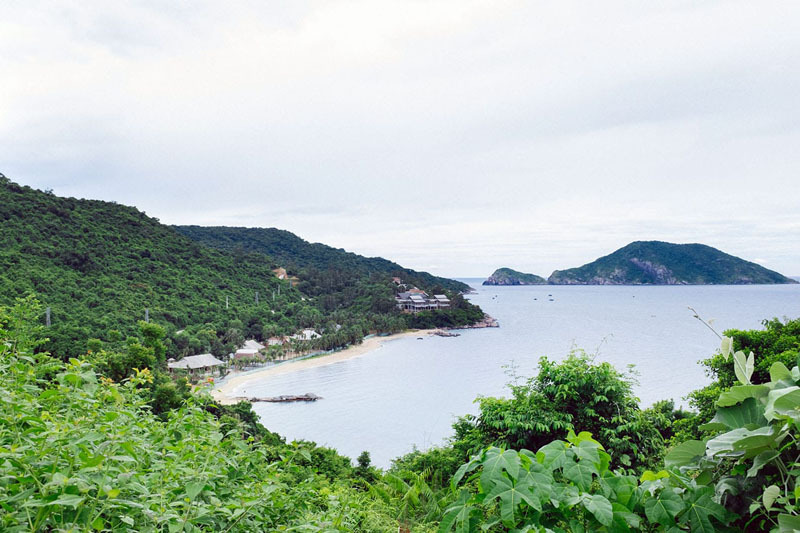 Located in the central Vietnam East Sea, Cham island is affected by the tropical monsoon climate, which means the best time to visit is from March to August. In March, the climate becomes humid but sunny, and the sea is tranquil, until August. In other months, it begins to rain heavily, the island is frequently attacked by storms. Cau Ngu Festival on the third and the fourth of April in the lunar calendar honors the fishermen and the island citizens so they are protected and well fed by the sea. On the ninth and tenth of March in the lunar calendar, Cham island people celebrate the festival to show their gratefulness to the founder of the bird’s nest business for teaching them a local economy. There are a number of different ways to reach the island—either by ferry, speedboat, or package tour. Having said that, if you’re travelling without a tour and are only interested in a day trip, be careful. You will have limited time on the island before the boats head back to the mainland for the day. While getting stuck on the island isn’t the worst thing that can happen, it will be an unexpected burden on your plans or wallet. The public ferry is a much slower mode of transport than the rest, but it’s also one that is much easier on your wallet—and your stomach. It travels to the Cham Islands once every day, and it can be caught from two locations, An Hoi and Cua Dai Pier. The Cham Islands public ferry from Hoi An. The boat itself is a stubby box-shaped vessel with lots of space for passengers and goods that are brought to the island on a daily basis. On the first level of the ferry is a front section with wooden benches for people to be seated if it’s a crowded ride or weather turns sour. Additionally, there is a mid-section with a raised platform that is usually occupied by locals, as well as a section that is used to put scooters and cargo. If the weather is good, you should sit on the top deck. Equipped with plastic chairs, rubber mats, and shade, this is the best way to pass the time. At the bottom of a small alley road on An Hoi Island is the departure point for the ferry. It can be a bit of a tricky location to find. The easiest and sure shot way of finding the alley is to look up Hoi An Silk Marina Resort And Spa on Google maps. The alley that you’re seeking is the first one west of the resort. If you get lost or are confused, you can always ask at the resort, and someone will point the way. The ferry leaves An Hoi between 7:00 a.m. to 7:30 a.m. and will cost 150,000 VND (6.50 USD) per person. You can also bring a bicycle or scooter on for an additional 50,000 VND (2 USD). Taking the ferry also requires a 70,000 VND (3 USD) entrance fee due to the Cham Islands being a marine protected area. The public ferry from Hoi An to the Cham Islands takes around 2.5 hours. Cua Dai Pier is located around 10 kilometres from Hoi An Old Town. The trip to the pier will cost around 150,000 VND (6.50 USD) by taxi and takes approximately 20 minutes. Alternatively, you can bike or drive there if you want to bring your bicycle or motorbike on the ferry with you. If you’re going to leave your vehicle at the pier, it costs around 10,000 VND (0.40 USD). The ferry leaves the pier between 8:00 a.m. to 8:30 a.m. and will cost 100,000 VND (4 USD) per person. While the boat is stopped at Cua Dai, everyone will be asked to pay the 70,000 VND (3 USD) entrance fee to the islands, regardless of which port you boarded from. All that’s required is the money and to fill out your name, nationality and year of birth on a list. You can bring a bicycle or scooter on from Cua Dai as well for an additional 50,000 VND (2 USD). The total travel time to the Cham Islands is around 1.5 hours from Cua Dai Pier. The crystal clear waters of the Cham Islands marine reserve. There are small advantages and disadvantages to the trip, depending on where you chose to board. If you’re travelling as a group of three or less, the cheapest way is to get on the ferry at An Hoi. You’ll be saving money on the taxi to Cua Dai and chances are it won’t be more than a 15-minute walk from where you’re staying. If you’re travelling with three or more people, you should catch the ferry at Cua Dai Pier. You’ll have more time to get your things together in the morning, and it will be the same price if not cheaper than catching the ferry at An Hoi. The main Cham Islands pier in Bai Lang where the locals eagerly await for their goods that are arriving on the ferry. Once the ferry arrives at the Cham Islands you’ll dock at Bai Lang. Here you will have a couple more choices to make. If you’re staying in Bai Lang or just visiting, you’re all set. Otherwise, if you’re staying in Bai Huong, you’ll have two options to reach the village. You can hire a motorbike taxi to whisk you away down the five-kilometre road for 70,000 VND (3 USD) per person, or you can take one more local boat. On one side of the large ferry is the concrete pier, but on the other will be another smaller boat waiting for cargo and passengers to depart for Bai Huong. This boat costs 30,000 VND (1.30 USD), and the trip takes around 20 minutes to reach the village. 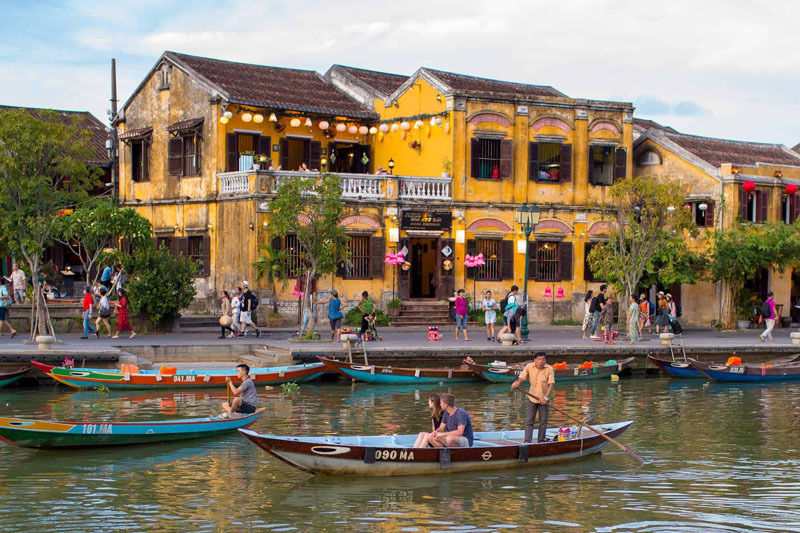 To return to Hoi An make this journey in reverse, making sure to double check with your homestay about the return times. Fishing boats sit at anchor off the Cham Islands. Travelling by speedboat is the fastest way to reach the islands, taking only around 20 minutes. The average price is around 300,000 VND (13 USD) for a one-way trip. There are many tourist companies who sell tickets to reach Cham island. Just go to the ticket room of Cua Dai Pier and you can choose a company. This method doesn’t let you freely travel, because you must follow the route of the company. If you’re looking for a private and customisable experience, you can hire a speedboat for around 5,000,000 VND (215 USD) for about five hours. Time and price are negotiable and will need to be discussed with the agent or captain. Ask your hotel or a travel agent to arrange one for you if needed. There’s a good chance you’ll need to have your own equipment for any activities that you wish to partake in, but you can, perhaps, work it in as part of the deal. A speedboat from Hoi An to the Cham Islands takes around 20 minutes. Once you step foot on Cham island, you can hire a motorbike to get around. Mostly in any hostel and homestay, you can find motorbikes for rent with the price of around 200,000 VND per day. The roads in Cham island are very steep and narrow, if you don’t know how to ride a motorbike well, do not try, for safety’s sake. Coast road and deserted beaches found on the Cham Islands.If you’re looking for something a bit different, camping is a common way to spend the night beachside among the rows of palm trees. There are toilets and showers, and the restaurants are just a stone’s throw away. Karaoke parties are also quite commonplace here, too. This museum is the first place you see once you set foot on Cham island. You will learn about the history of the island’s establishment, the traditions and customs of the locals, the festivals, and special sea creatures of this land. The Cham people dug this well about 200 years ago and it still provides fresh water. The architecture of this well is similar to other Cham wells in Hoi An city, which have a pipe shape, a surrounding square base, a square pillar marking each of the four corners, and annular arrangement of bricks. Though it’s been 200 years, this well has never been dry, even in the driest season, say the locals. It is also named Xom Cam Well (the well of the forbidden village) because it is located in Xom Cam. 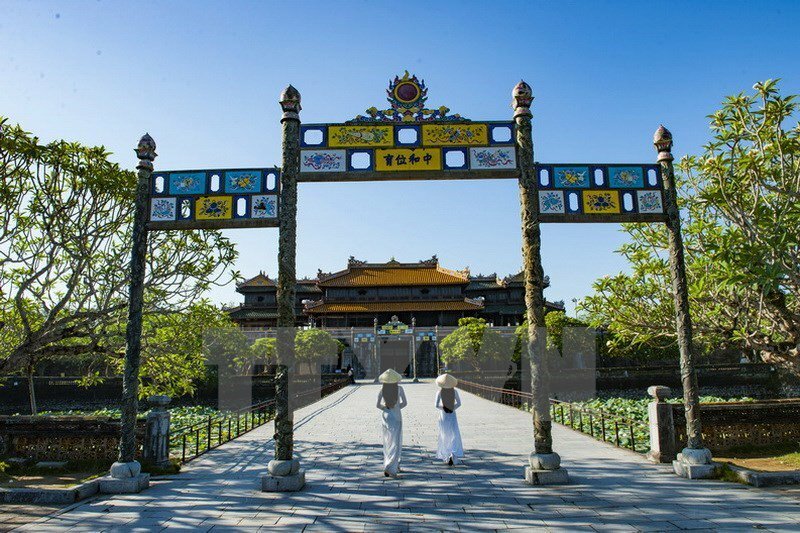 Hai Tang Pagoda is used to worship the Buddha, Bodhisattva, local god, and sea god in order for the residents to practice Buddhism and pray for their safety and prosperity. It was first built in 1758, 200 meters away from its present location. Due to a destructive storm, in 1848 locals moved it, rebuilt it, and redecorated. Hai Tang Pagoda is at the foot of the west mountain of Hon Lao island, facing a small valley, the only paddy field of Cham island. Legend has it that a ship carrying many wooden pillars from the north to the south of Vietnam stopped at Cham island but it couldn’t move anymore because of the strong storm. Then, a person entered Cham island to pray, and the God of the Sea told him that the wooden pillars should be used to construct a pagoda on this island. Thus, the crew and locals together built the pagoda and named it Hai Tang Pagoda. Hai means the sea, Tang means Tipitaka, the Buddhist holy books storing words of the Buddha. The name Hai Tang means this pagoda possesses the teaching of Buddha as much as the sea. Locals usually call this market Cu Lao Cham Market. It’s right next to the pier. You can buy seafood, wild animal meat, and souvenirs. Travelers often buy half-dried cuttlefish to bring back home. Because seafood is fished near the island, it’s very fresh and cheap. This temple was constructed in the early 19th century to worship the founders of the bird’s nest business and to protect the god of this business. It also worships the gods of the sea, just like Hai Tang Pagoda. Every year on the ninth and tenth of March in the lunar calendar, locals celebrate to pray for a new harvest of bird’s nest. In addition to hostels and homestays, you can go camping on your own to enjoy the wild environment of this island. If yes, you should go with a group of friends and being well-prepared before camping. In Bai Ong and Bai Huong you can use the services offered by locals. Otherwise, Bai Bim and Bai Xep are the best choices for those travelers who love enjoying open spaces and wild nature. Due to the variety of aquatic habitats found in the Cham archipelago, the area has now been protected under UNESCO. There is a multitude of species that can be spotted such as eagle rays, turtles, ghost pipefish, whale sharks, and much more. Sea trekking and snorkeling gives you the chance to observe the colorful coral reefs of Cham Island Biosphere Reserve. You can book online at here. The Cham Islands may only be a short trip from Hoi An, but they will make you feel like you’ve travelled much further than just 18 kilometres from the mainland. You should not rush and go at least for a full day—it’s worth it. There are options catering to everyone—diving or snorkeling or just enjoying the boat trip out to explore the islands. It’s a very family-friendly excursion, and the kids will love having all the extra space and freedom to swim and run about. Whether it’s just for the day or a couple of nights in homestays or on the beach, it’s now your turn to visit this once restricted, impressive group of islands.